Adults play more than just the supportive role in youth sports. In fact both sides, the coach and parents, have a big influence on the performance of youth sports players. Winning or losing of the team is as much the coaches’ and parents’ responsibility as players themselves. To be able to do justice to the influence your role brings in, here is a list of things that both parents and coaches need to consider so their young stars shine brighter. Inspire: You need to remember this is not just a game. Most of the teachings, words spoken and vocabulary used by adults actually influence the child’s overall personality. So make sure you speak out words that inspire the kids. The good old pep talk before the game works wonders for children. Communicate: Technically, communication can happen only if there are two or more parties. So while talking to the kids is important, it is equally important to listen to them as well. Effective communication can solve half the issues the players might be facing. 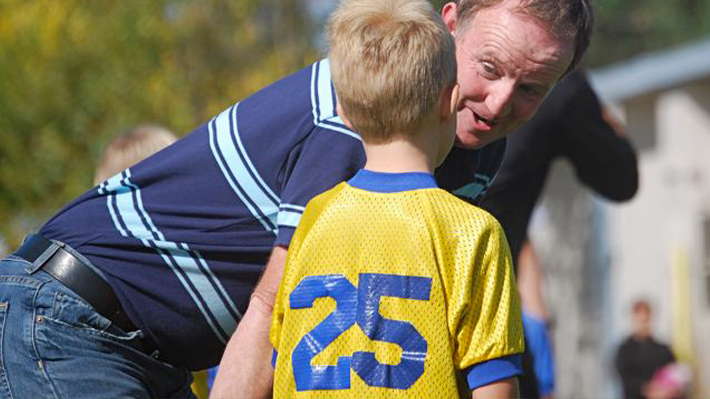 Moreover, seamless communication between the coach and parents is also as important as communication with the kids. If both parents and coach share child’s concern, issues faced by the child, child’s strength etc., the game will get to a whole different level. Enjoy and let kids enjoy: In sports, especially in youth sports it is essential to enjoy the game. There’ll be times when the team loses, a player makes a silly mistake, star player does not perform well, and so many other things. With the kind of hard work that parents and coaches put in, their disappointment is obvious. But publically showing your disappointment will dishearten the players, bring down their morale and create unnecessary pressure on kids. At times it’s important to loosen up. Simply enjoy the game and teach children to do it too. Work in sync with each other: Parents and coaches need to work in sync with each other and not against each other. This implies that parents should never override whatever the coach says and vice versa. Youth-sports is a very delicate but important field. What the child learns will be her foundation for sports throughout life. The mental and physical development of the child in youth-sports determines the future of the player to a large extent. It also affects the overall personality of kids. Taking your role seriously in your child’s growth and games and being committed to the game brings in long term benefits to the child.